Valuable rewards and benefits for our auto repair customers in Oakville, ON. 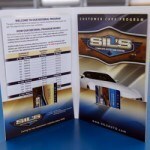 Not only does Sil’s Auto Centre in Oakville offer top-notch auto repair and auto services with experienced, licensed auto mechanics and qualified service advisers, but we also offer one of the best, most unique Customer Care programs available in the area. With amazing, valuable rewards and benefits like these, why would you want to choose any other auto repair shop in Oakville?